Turn your leftover veggie chili into spicy enchiladas with the addition of brown rice and a simple chipotle tomato sauce. Heat a medium saucepot over medium-high heat until hot. Add pepper and onion and cook, stirring frequently, about 3 minutes or until beginning to brown and stick to the pan. Stir in 1/3 cup water and cook 3 minutes longer or until vegetables are very tender. Stir in chili, cooked rice and nutritional yeast. Place about 3/4 cup of the chili mixture on each tortilla and gently roll up. Place filled tortillas on prepared baking sheet, seam-side down. 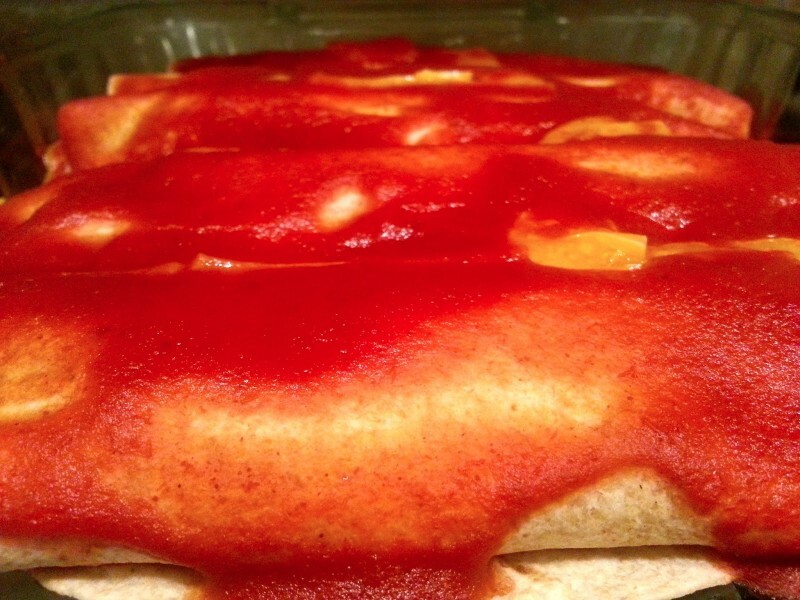 In a small bowl, combine tomato sauce and chipotle powder and spoon over enchiladas. Bake 10 minutes.